Check the energy usage. 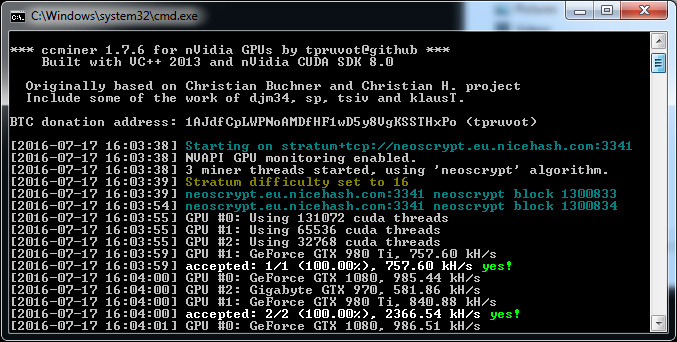 on my system it jumps quite a bit like 60-70W when I use this miner to run Neoscrypt. When you are getting just a portion of the expected hashrate the GPU load is usually far less than when you get the full performance of the GPU. When I use 1.5.78-djm34 I am getting 958 KHS with the latest windows drivers on my 1070 card and less power used.